Rare finds, specialist dealers and world-class collections will feature at an event that has established itself as one of the most important stamp collecting dates in the philately calendar. Stampex International takes place between Wednesday, February 13 and Saturday, February 16, 2019 and is set to attract stamp enthusiasts from around the globe. The internationally-renowned exhibition, which will be held at the Business Design Centre in Islington, is being organised by The Philatelic Traders’ Society Limited (PTS). Household names and prestigious brands will be represented at the show, which organisers describe as Europe’s premier event of its kind. First held more than 60 years ago, the bi-annual gathering now includes more than 100 exhibitors – from collection dealers to large auction houses, as well as the ever in-demand Royal Mail stand. The free event is an opportunity to view rarely-seen stamps and designs spanning across the years. 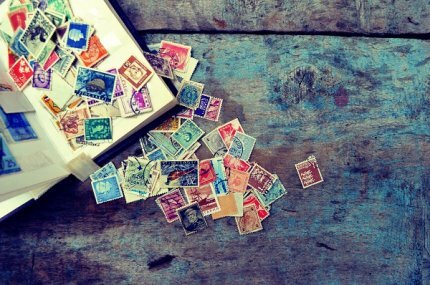 Visitors and those interested in taking up the popular pastime can also learn more about the history of stamp collecting. Meanwhile children of all ages can enjoy the Stamp Active Network, which has been designed to spark interest and help the next generation to discover more about philately. Various additional free activities have been organised throughout the four-day stamp collecting showcase, which are sure to appeal to both old and young visitors alike. An auction for children is set to be held on Saturday, which includes items donated by stand holders and members of the PTS. For those who would like a keepsake of the show, a Limited Edition Commonwealth Smilers Sheet is available to purchase. Smilers Sheets, an iconic part of Stampex International, celebrate the different themes and brands to have taken centre stage over the years. Attendees will also receive a complimentary show guide and postcard. Set in the heart of Islington, The Business Design Centre is easily accessible by public transport from Central and North London. At Tony Lester Auctions we handle sales and purchases for many budding stamp collectors, enthusiasts or dealers. You can talk to us about advice during one of our auctions throughout 2019. Tony Lester’s first stamp auction of 2019 will be held on February 10. For more information or to ask a question, get in touch. Fancy a Royal Postage Stamp for your collection?